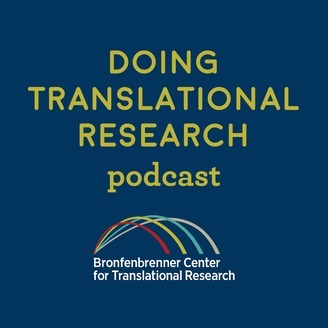 Doing Translational Research explores the process of translating research findings into policy and practice and working with practitioners and policy makers to design more effective research studies. 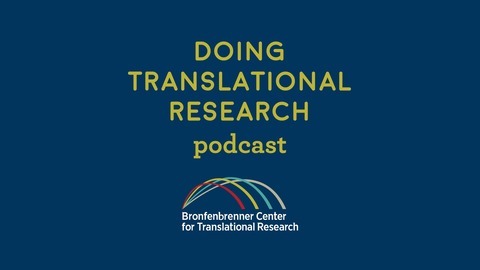 The podcast is produced by The Bronfenbrenner Center for Translational Research (BCTR) at Cornell University. The BCTR expands, strengthens, and speeds the connections between research, policy, and practice to enhance human development and well-being. This time Chris is joined by his collaborator, political scientist Peter Enns. They get into Peter's work examining how how policy can be informed by public opinion in such areas as mass incarceration and unerstanding election resutls. He also explains why it's a good time for criminal justice reform. Peter K. Enns is an associate professor in the Department of Government and executive director of the Roper Center for Public Opinion Research at Cornell University. His research focuses on public opinion, representation, mass incarceration and inequality. His recent book "Incarceration Nation" explains why the public became more punitive in the 1960s, 70s, 80, and 90s, and how this increasing punitiveness led to the rise of mass incarceration in the United States.